DOMINICA 1954-62 QEII Definitive Set of 19 SG140-58 in very fine unmounted mint condition CV £85. Beautiful collection of Very Fine, Mint Never Hinged Disney sets, Souvenir Sheets & Sheetlets. a pretty image. 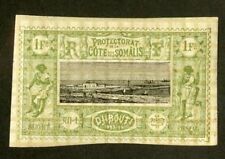 Dominica 1870 Bogus Die Proof in green imperf on thin card produced by the Boston Gang. Described in full in Toeg's handbook on pages 27-28, a copy of which is included. 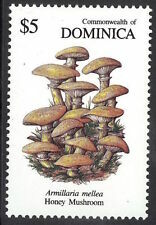 DOMINICA-1883 ½d on half 1d Lilac. A fine used example used on piece Sg 12. UK ORDINARY (UPTO £40 TOTAL) £1.00. NICE MNH SET AND SHEET. Very fine UHM/MNH. SG 162/8 Cat £50. (Only one 14c). Complete set mint hinged with original gum. Lot of 27 Dominica MNH Mint Never Hinged Stamps Scott Range 753 - 2355. Each On Signifying A Great First In Aviation History hosted on an A5 page in a plastic pocket. A Small Write-Up Is On The Back Of Each Page. Each Stamp Is Gold Foil, Issued In 23-Karat Gold. -:- The item you receive may not be the item scanned, but will be of similar quality. Sg 120-134. MOUNTED MINT. UK ORDINARY (UPTO £40 TOTAL) £1.00. UK RECORDED (UPTO £100 TOTAL) £2.00. Sg 140-158. MOUNTED MINT. UK ORDINARY (UPTO £40 TOTAL) £1.00. UK RECORDED (UPTO £100 TOTAL) £2.00. First number is Scott catalogue. Second number is Stanley Gibbons catalogue. Asking price for this item is only 37.5% of Scott 2018 catalogue value. MH = Mint Hinged, MLH = Mint Lightly Hinged, MNH = Mint Never Hinged. Faults such as Pinholes, Major Crease s, T hin s and Tears that are not noticable fr om th e scan are always Declared. make Supersized seem small. Get images that. Lot of 95 Dominica MNH Mint Never Hinged Stamps Scott Range 287 - 572. Lot of 39 Dominica MNH Mint Never Hinged Stamps Scott Range 101 - 323. DOMINICA 1938/47 George VI - set of 15 lightly mounted mint. Catalogue £75. Dominica 1921 KGV 2s purple & blue/blue MLH. SG 69. Sc 62. Dominica 1921 KGV 2s purple & blue/blue mint lightly hinged. Gibbons # 69. Scott # 62. Lot of 52 Dominica MNH Mint Never Hinged & MH Mint Hinged Stamps. 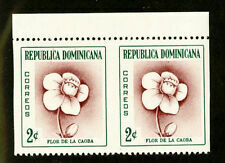 DOMINICA - 1877/79 ½d ON HALF 1d PAIR, FINE MOUNTED MINT(MLH). including USA - £2.00. REST OF THE WORLD. DOMINICA QV 1886-90 Set of 6 Values SG20-26 Mint Lightly Hinged Fresh set. Catalogue Value £200. 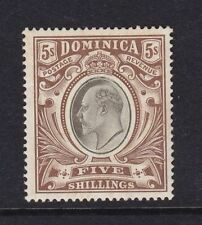 DOMINICA KGV Scott 54 SG54 Mint Hinged. Catalogue Value £60.